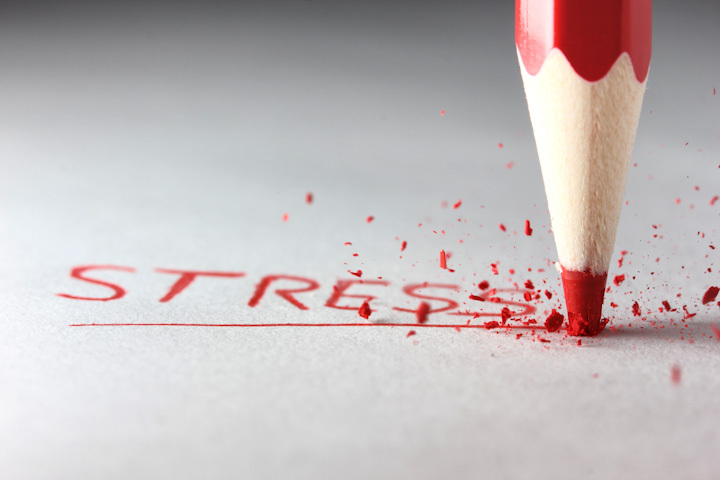 Nearly two-fifths of UK businesses (37 per cent) have seen an increase in stress-related absence over the last year, with heavy workloads and poor management style to blame, according to a new report*. The research, which surveyed 1,078 people professionals, shows that stress is a growing problem in UK workplaces. Respondents say having heavy workloads (62 per cent), which can be attributed to poor management, is the top cause of stress-related absence. The second biggest contributing factor is management style which has risen from 32 per cent to 43 per cent in the last year. The worrying increase in management style as a key cause of workplace stress highlights the need for businesses to invest properly in management training, as well as wider well-being initiatives. The annual Health and Well-Being at Work Survey Report uncovers evidence of more unhealthy trends in the workplace linked to stress. More than four-fifths (83 per cent) of respondents have observed ‘presenteeism’ (going to work when ill) in their organisation and a quarter (25 per cent) say the problem has got worse since the previous year. Nearly two-thirds (63 per cent) have observed ‘leaveism’ (such as using holiday leave to work) in their organisation. More than half (55 per cent) say their organisation hasn’t taken any steps to address the issue. These disturbing results undermine the fact that the survey records the lowest number of average sick days (5.9 per employee per year) in the 19-year history of the report. The report reveals that many managers aren’t receiving the training they need to spot and help manage these unhealthy practices among their staff. Only 50 per cent of managers have undergone training to support their staff to better manage stress. Out of the minority of organisations taking action to tackle leaveism and presenteeism, only 37 per cent of managers have been trained to spot the warning signs of either. These findings represent a serious failure by senior leaders given that mangers play a vital front-line role in supporting staff with their health and well-being. Managers should be the first port of call if an employee wants to discuss a health condition and are also best placed to spot the early warning signs if someone is struggling to cope. Aside from not receiving adequate training or guidance, many senior leaders haven’t done enough to get managers to buy into the importance of well-being. Only half (50 per cent) of respondents say this is true of managers, raising questions about how fairly and consistently they can implement their organisation’s health and well-being policies in their own teams. Furthermore, fewer than a third (32 per cent) say that senior leaders encourage a focus on mental well-being through their actions and behaviours. In response to the report’s findings, the CIPD is calling for senior leaders to prioritise wellness at work. It is encouraging greater investment in health and well-being by training managers so they are confident and competent to support staff. Managers should be helping to alleviate stress among their staff, not contributing to it. But too many managers are being set up to fail because they haven’t received adequate training, despite them often being the first person employees will turn to when they have a problem. Rates of presenteeism and leaveism, which are both linked to stress, remain stubbornly high. Employers have a responsibility to tackle these bad habits. They must also realise that staff are not going to perform at their best if they are working when ill or using up holiday to work rather than recharge. It’s vital that businesses recognise the importance of well-being initiatives and training for line managers. Senior leaders should work with their HR experts to ensure there is sufficient training and an overall culture of well-being in their workplaces. People are an organisation’s greatest asset and so it is crucial that senior leaders recognise the importance of investing in their employees. Line managers play a front line role and are often best placed to support with health and well-being, but this year’s report shows there is more work to be done to better support them with training and guidance. In addition, there are further steps organisations can take to help reduce stress-related absence and encourage a preventative approach. Fostering a culture where employees feel they can seek support when they need it is key, and initiatives such as offering an employee assistance programme and flexible working arrangements can help improve an employee’s work/life balance.